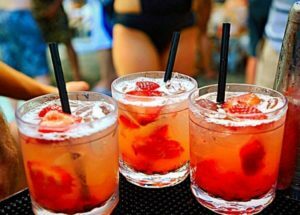 Are you ready for summer emotions, hot nights and ice cocktails? Pool Bar Persena awaits its new and smiling friends! For all lovers of modern and fine music, Pool Bar Persena offers a unique and refreshing atmosphere, a wide selection of refreshing beverages and cocktails, all around the pool. DJ Rosko will take care of your good mood and the coupon is guaranteed. Be trendy, experience the different! We expect you! The evening program at Pool bar Persena starts at 20:00 and lasts until 23:30. Immerse yourself in the modern rhythm of music and indulge in a friendly atmosphere. We are expecting you from 03.08.2017. Around the Olympic swimming pool at Thermal Aqua Park Persenk, and you want to have your good mood and smiles!